Passionate, poetic, political, enraged, sensuous, scholarly, exciting, emotional – Wild is all these and more, a complex mix of experience and learning, personal feelings and hard facts. The author’s elemental journey takes her from the Amazon to Outer Mongolia via the Arctic, the South Seas, the Australian deserts and the forests and mountains of West Papua. She spent seven years travelling and working on this book and the intensity of this slice of her life shines through the writing. This is not a book about landscape, though landscapes feature strongly, nor about wildlife, though this is there as well, but about the nature, meaning and quality of wildness in every sense of the word. Much of the book is about people who still live close to nature, the Inuit in the Arctic, Australian aborigines, the people of the Amazon and West Papua. Griffiths shows great empathy with these people and expresses great rage about what has happened and is happening to many of them when “civilisation” has found them. Sometimes the book seems a political polemic on their behalf. At others it’s a study of the relationship about people and the wild. Then it changes to the author’s powerful personal feelings, whether joyful or miserable. The most uplifting passages are the descriptions of the coral reefs of the South Seas. Here the author seems to have found her paradise as she revels in ecstasy over the profusion and beauty of the sea life. Conversely she has an awful time in the forested mountains of West Papua, admitting when her multi-day trek comes to an end that she looked with love at the vehicle that would drive her away. 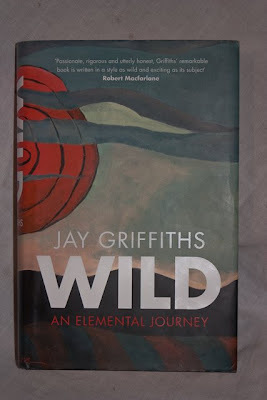 Griffiths also delights in language and writes extremely well. There are poetic passages where the sheer flow of words and images conjures up the sensations and places she is describing without the words needing to have any precise meaning. At the same time this is a well-researched book and her knowledge of indigenous peoples and the history of wilderness and exploration is impressive. Combining passion and emotion with scholarliness is not something many writers could do convincingly. In this she reminds me of Edward Abbey, though with a strong feminist perspective. She shares his belief in wilderness as being far more than landscape and wildlife, as being in fact the wellspring of life, essential for sanity and health. Griffiths however is an original writer and not really to be compared with anyone else. Wild is a big book with big themes and huge depths, making it one to read and dip into again and again. There is too much here to grasp in one reading.